Thanks to Jeff Ward for sharing this wonderful photo showing his new 16″ x 24″ museum-mounted Sunset Over Window Rock print! 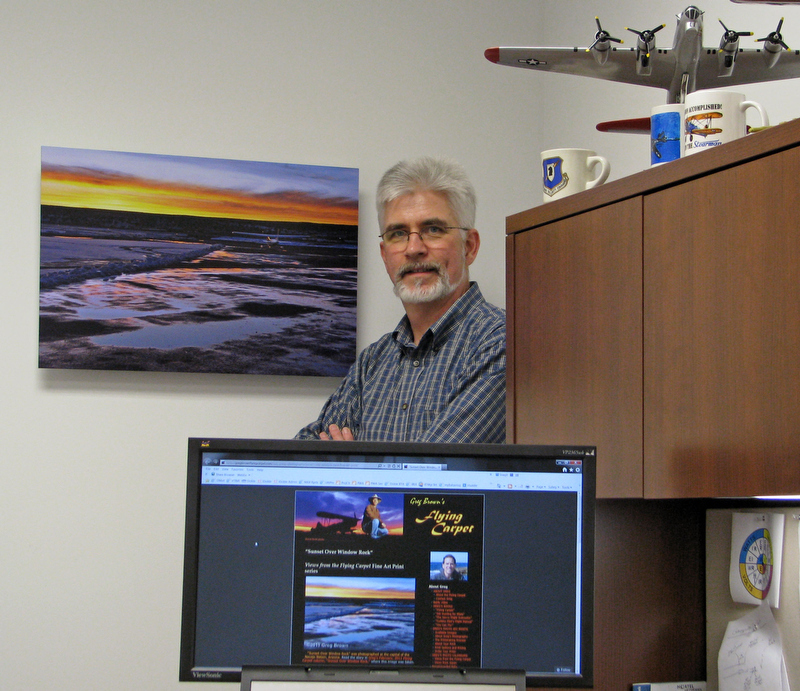 Jeff was winning bidder on one of two Fine Art Photographic Prints I donated to benefit the AOPA Foundation at the recent Night for Flight Auction. Congratulations, Jeff, and most importantly, thank you for so generously supporting this important general aviation cause! PS: BTW, this 16×24 print is a size I’ve not previously posted pictures of. Pretty imposing for such an affordable format!